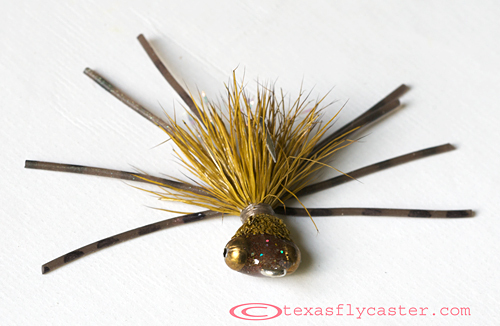 Yes, it is finally raining here in North Texas, and cloudy and gloomy, and good for nothing but inside “work” like tying flies! 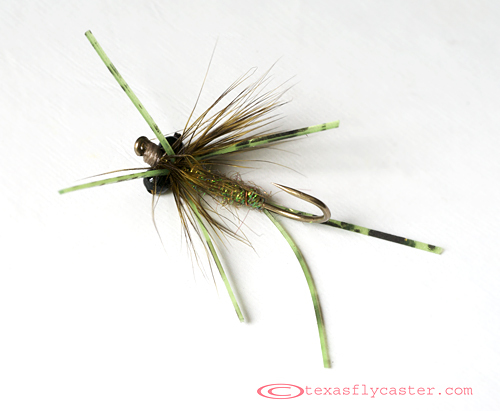 I baited you a few weeks back with the promise of the “ULTIMATE NORTH TEXAS CARP FLY SELECTIONS” because I knew it would do one thing certain; it will definitely generate some controversy because there really isn’t anything definitive on carp flies used to fish shallow freshwater flats in North Texas. It’s a constantly changing lineup, with a couple of superstars and some short lived free agents. I was delayed in presenting these flies to you because I originally wanted to do something more interesting using video to show the flies from all angles. Alas, the camera I use for doing fly tying videos is now on a shelf in North Hollywood waiting for someone to deliver the bad news … (read previous post). Still photography will have to do for now. And if you think you have a Billy-Bad-Carp fly, show us. Carp, like any other fish, respond to what’s available in their neighborhood. Sure, they could swim all the way to The Mansion on Turtle Creek, but what we have here will do just fine, and what we have here is not cottonwood seeds, or delectable berry pastries. 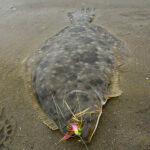 The locals have a typical junk food palette – if it looks good, smells good, and looks like it’s worth eating … it’s ON. Please feel free to visit the post associated with this post to air your questions, and complaints about this “ULTIMATE” collection that is most certainly short a few great flies. 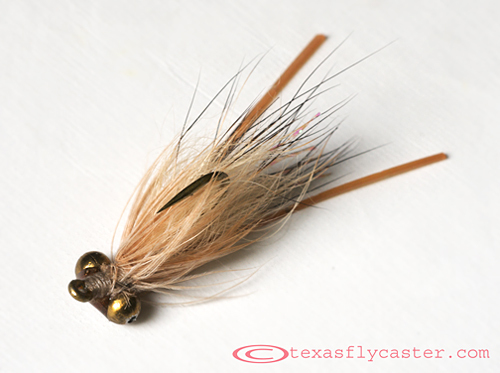 If you want formulas and recipes, or to add your fly to the mix, be sure to visit “The Fray” under “Fly Tying.” There are some things about tying these flies that will make them work, and if they don’t they will make you curse repeatedly and out loud to the fish gods. So I suggest, STRONGLY, that if you don’t already know everything there is to know – FEEL FREE TO ASK. If you are a regular lurker, you may see new advertising in the left and right columns. Yup, TFC has been pushed up a notch this past week. Apparently these folks were impressed with the depth and width of content on TFC, and reached out. If you are shopping, cut straight to the chase and hit these sites. I will be selectively changing out these advertisements for other affiliates from time-to-time. All of them have the TFC stamp of approval. 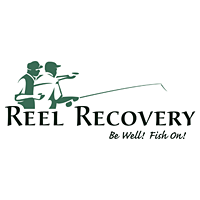 Besides the new associations with these businesses, this week will witness the rolling out of several new items on the “Fly Merch” e-commerce portion of this site. They include these flies for sale as well as archival prints of miscellaneous artistic meanderings. As the fall rolls around, we will also be carrying the Cimarrona “Angler” fleece and wool hat, and plan on having about twenty different one-of-a-kind “Anglers” for your winter wanderings in the snowy latitudes.